The best Sage 100 mobile sales solution for a winning trade show experience. Sell more and get paid now. Use it to open new accounts, add new contacts. 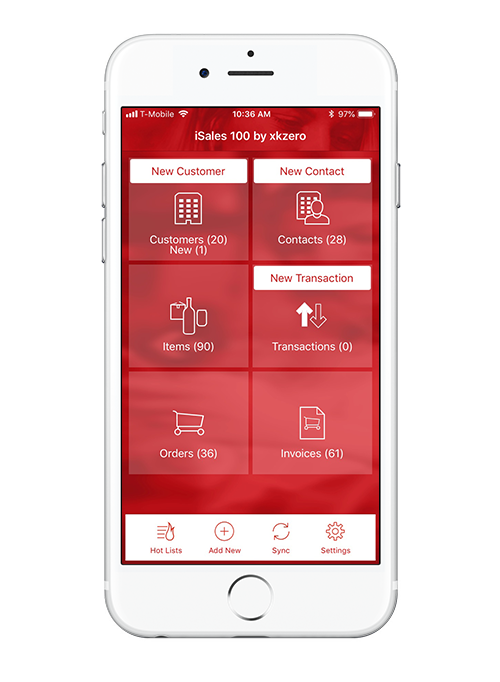 With iSales 100 by xkzero you can now reap even more rewards. Take orders on the spot, eliminate duplicate work and save yourself and your customer all kinds of time. Best of all, by the time you've recorded the sale or taken the payment or the new order, you can already be picking and shipping the same day. Serious trade show sales productivity. Easy as pie.